The movie was divided in a three-part story. 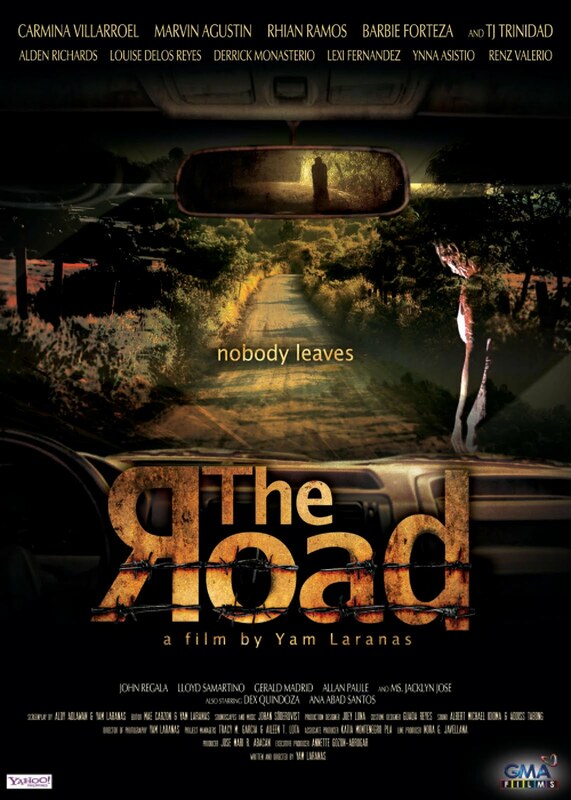 The first one, which stars Barbie Forteza, Lexi Fernandez and Derick Monasterio, tells the story of three teenage friends who got lost in a secluded rough road during a road trip of driving lesson. After encountering a mysterious car and its passenger, it will never be the same for the three friends as some of them will be lost forever. The second part shows the tale of two sisters, Rhian Ramos and Louise delos Reyes, getting stranded in the same road. Their fate will never be the same after meeting a stranger they think can help them. They were never seen after and reported missing and were mentioned in the first episode as a cold case for 12 years. The final part, which features Marvin Agustin and Carmina Villaroel, a couple living near the same road with their son. The mother has a weird way of raising his son as she does not permit him to go out of the house. As husband and wife argue about family matters one night, and gave a horrible ending that left a psychological scar to the boy. The three parts was delivered in a backward style of story telling. The third story happened more than 20 years ago, the second part, more than 10 years ago and the first one set in the present time. As the movie progresses from the first part to the next, the viewer will be able to establish the connection of the characters from the past to the present or should I say from present to the past. I can say kudos to Carmina Villaruel and Marvin Agustin for portraying as an "imbalanced" couple or much better to describe them as "damaged" parents. There's no wonder how good they are at it since they've been in a number of psycho-suspense-thriller movies especially Agustin. Rhian Ramos is also not new on this type of movies and her portrayal of an abducted girl is really convincing. With the three teens, the acting is still somehow a little "pa-cute" except for Barbie that was able to portray her role. This movie may be a jump-off point for them to have a new style of acting aside from their usual ‘tweetums’ role. Alden Richards executed his character with only few lines but still managed to act great. Believe me, if I see this guy and he'd be like the silent person, I will distance myself from him before he does something bad. The movie is not really frightening except for the first part with the mysterious plastic wrapped figure keeps on showing up. It seems as the movie progressed, the lighter the suspense meter goes. I think because the first part was all night, the second one was presented in an afternoon and dusk scenario while the last part showed daytime most of the scenes. Another factor that lowers the suspense is that you are able to uncover the truth as the story goes on. I'm just a little curious how a secluded road can have a wooden gate blocking it can become a long and winding road. If it is part of the mystery, I'll leave it then. As for the plot of using ghosts getting revenge was well justified, you can really never outrun them as sooner or later they'll catch up with you and make you pay for your sins. For the plot of weird parenting, I think I've already seen this once or twice in another movie. I guess sometimes "damaged" mom and dad makes their little boy go "psycho". I'm not sure if my skill in horror-suspense movie to detect the villain is weak because I seldom watch them or Laranas was able to confuse the viewers like me with some additional characters and make it difficult to deduce who the culprit is. If I am not mistaken, this will be the first Filipino movie I have written a review. I will give The Road a rating of 8 out of 10. Hopefully this won't be the last time I will be posting about Filipino movies. I wish there will be more local movies that is worth watching and reviewing like this one. ah talaga? meron palang ganitong movie ang gMA ha.never heard.cguro kasi di ako nanunuod ng 7 pero mukhang magnda ha,yung posted ---decieving---parang me international appeal.gojab!~!!! plano panoorin ng mom ko yan.. pro ako hindi ko papanoorin.. alam mo kung bakit.. hihihihi..
@anton, masyado ka lang busy sa pagpunta sa kung saan-saan.